There is always some view of language built into biblical interpretation. If we are to read Scripture to hear God’s address it is vital that we attend to current debates about language and become critically conscious in this respect. 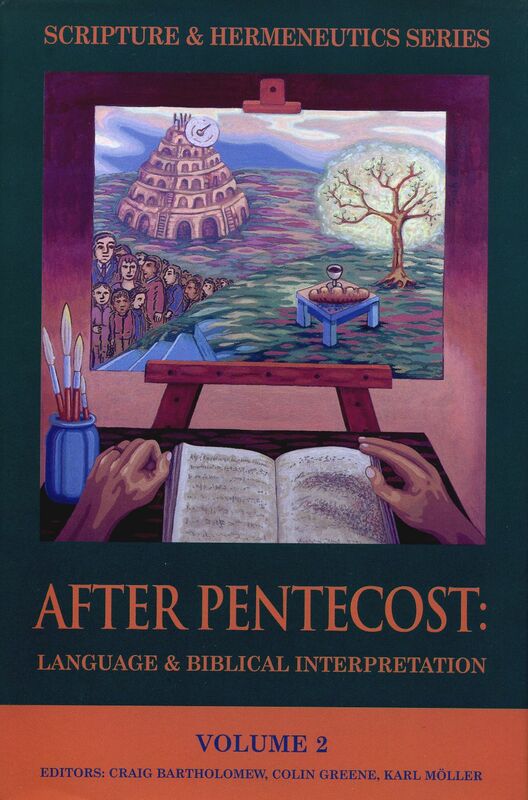 After Pentecost is the second volume from the Scripture and Hermeneutics Seminar. This annual gathering of Christian scholars from various disciplines was established in 1998 and aims to reassess the discipline of biblical studies from the foundations up and forge creative new ways for reopening the Bible in our cultures. The Seminar was aware from the outset that any renewal of biblical interpretation would have to attend to the issue of language. 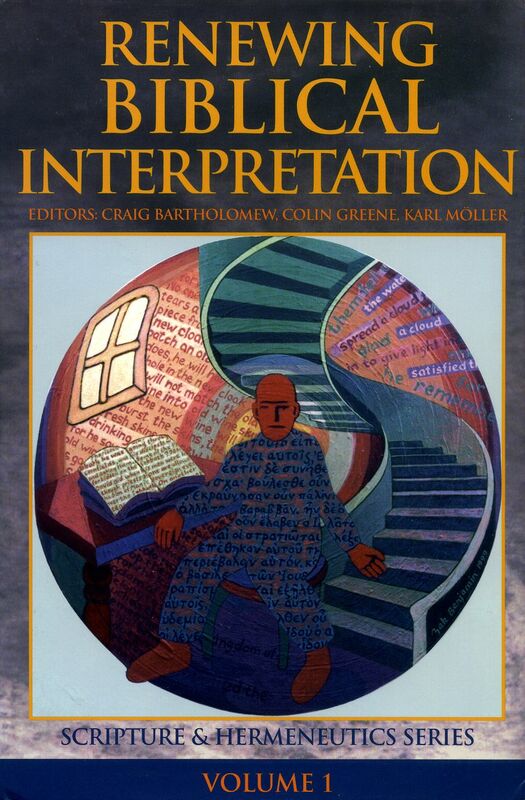 In this rich and creative volume the importance of linguistic issues for biblical interpretation is analysed, the challenge of postmodernism is explored, and some of the most creative recent developments in philosophy and theology of language are assessed and updated for biblical interpretation. The scholars who together have produced this remarkable volume – and the projected series of which this volume is a part – are prepared to deal patiently and honestly with the most elemental theological issues. The title, After Pentecost, alludes to the problem and prospect of language as the condition of theological truth, and the authors are fully conversant with the most important theoretical issues concerning language. They mobilize that vast learning for the tasks of exegesis and theological adjudication. This is a serious book, a genre in which there are few current representatives. The book will bear careful, patient study. It cannot be ‘read,’ but must be studied. The treatment of theological language as a theological issue offered here matches the gravity of the topic itself. Immense learning is mobilized in the service of serious critical reflection on behalf of the church as the church faces an entirely new situation with the demise of modernist rationality and its accompanying positivism. This is an excellent collection on a topic for which interdisciplinary conversation between biblical scholars, theologians and philosophers is vital. These essays deserve to be widely read and to draw many more of us into that conversation. Central to the theological task is the question as to how human language functions and refers within the context of Christian revelation. This volume contains an impressive series of essays and responses by leading contemporary philosophers, theologians and biblical scholars brought together to consider the relationship between biblical, exegetical and theological discourse. Their work is characterised by a shared concern to articulate the manner in which God may and does speak in and through human speech. This significant contribution to the debate will prove invaluable to anyone committed to intellectual engagement with these key issues. Without the voice of the Living God addressing us through Scripture, Christianity collapses into so much empty rhetoric and the world is left without the redemptive, recreative Word of God. Church History is in large measure the history of biblical interpretation. And almost all contemporary cultural and intellectual movements eventually show up in biblical interpretation as well. Both modernity and modern biblical studies are showing signs of ageing, and it is agreed that the critical approach that has dominated the discussion for the last two hundred or so years has obscured the Bible’s role as the Church’s authoritative Scripture. All the more reason to be grateful, then, that there is now an academic seminar devoted to the project of recovering a theological dimension to the interpretation of Scripture. This first volume holds out the hope that certain hermeneutical developments will lead not only to the renewal of biblical interpretation, but to the renewal of the Church itself. There are few things more urgent for Christian thought in the churches and in universities and seminaries than to produce lively, intelligent and imaginative biblical interpretation. The Scripture and Hermeneutics Seminar is facing the deepest issues involved in doing this. It does not run away from complexity or controversy. But above all it is concerned to do justice to the extraordinary, generative richness of the Bible and to let it be genuinely ‘habitable’ today. This book will illuminate, inspire and provoke anyone who wants to learn from some of the best in the field how to respond to the Bible in the aftermath of modern critiques and crises. This book brings together some of the key players in the present discussions of how to use the Bible, not simply to talk about how difficult it all is but to point new and creative ways forward. A refreshing and wide-ranging discussion that will help us all both to think clearly and to read – and teach! – more responsibly.